Great to be back and more delighted as it is blog's birthday today.One thing was for sure that I missed each one of you,your posts and your inspiring comments.Many of you might be wondering about my sudden disappearance from the blogosphere.Sorry,dearies I was just busy shifting back and froth from US to India and back,I must say still getting settled.Hope everyone of you are doing good and I shall be visiting each one of my blog frenz soon through your posts and updates.Blog anniversary's are a real time to celebrate and as always,I celebrate my happiness with sweets.Three years passed away so fast,Thanx to each one of you who are part of my blog and had been my inspiration to learn and cook new dishes.Not boring you much with the usual blah-blah.Celebrating this anniversary with a simple sweet,Pistachio burfis(fudge). Pistachio burfi | Pistachio fudge is a yummy delightful recipe that I just experimented and was successful.These nuts are rich in mono unsaturated fatty acids like oliec acid and an excellent source of anti oxidants.They are also an excellent source of Vitamin E, packed with many important vitamin B complex and minerals(source:here).Earlier I tried the baklava rolls with pistachio nuts which was very delicious,this time gave this a try.The best part of this recipe is that there is no other major ingredient other than pistachio in it and there is no ghee too except greasing the plate,Isn't that super healthy? 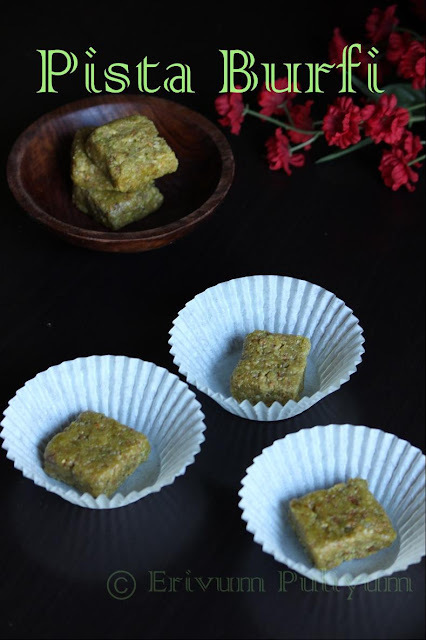 ?And also,the sweet content in a store brought burfi is much more than the homemade ones.This is very simple recipe which anyone could give it a try & enjoy !! Shelled pistachios should be soaked in hot water for 20-30 minutes to peel the skin.Pat dry the blanched pistachios on a paper towel. Grind the pistachios in a coarse mixture with sugar(about 2tbsp) . Heat a pan with sugar and water(use 1:1 ratio) and keep stirring on medium heat until it reaches one thread consistency. Add the pistachio coarse powder immediately and mix well. Add the cardamom powder and stir.Keep mixing till you the mixture starts to leave the pan. Transfer the mixture to a plate greased with ghee.Flatten and spread evenly with the back of a spoon or offset spatula to your desired thickness. 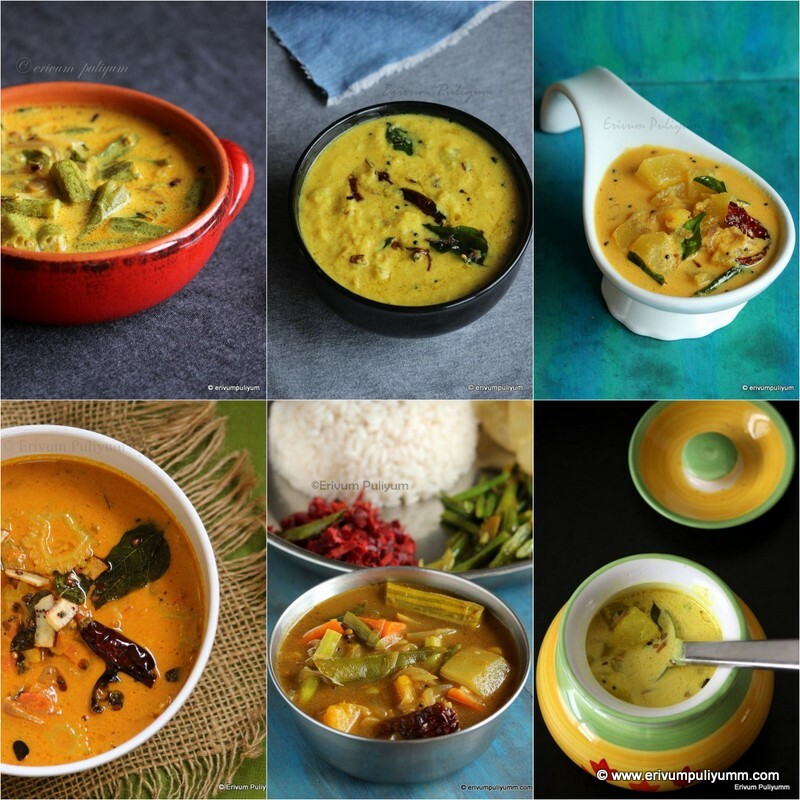 Leave to cool for 30 minutes.Cut and serve in square or any other shapes. 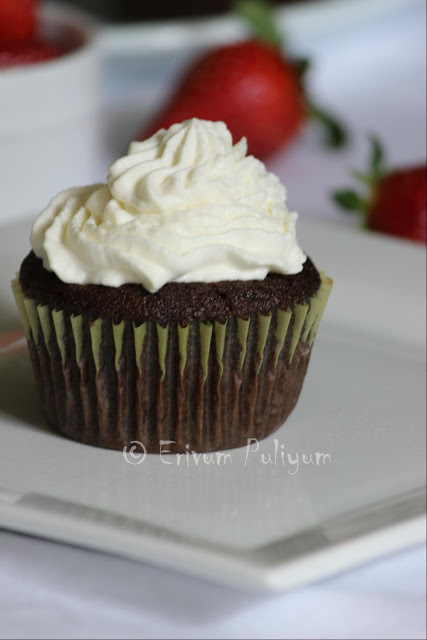 * I haven't added any color to it but for a better appealing look you can always add a drop of green food color. Yay I am so happy that you are back and congrats and welcome back. welcome back, glad you back are you still in NC or moved some where, E-mail me when you get time. Happy blog anniversary. Wishing many more years of happy blogging. Happy to see u back Julie.. Congrats on ur blog anniversary, pista burfis are just simply out of the world.. So glad to see you back, Julie!! I was happy to see your comment in my space after long time. 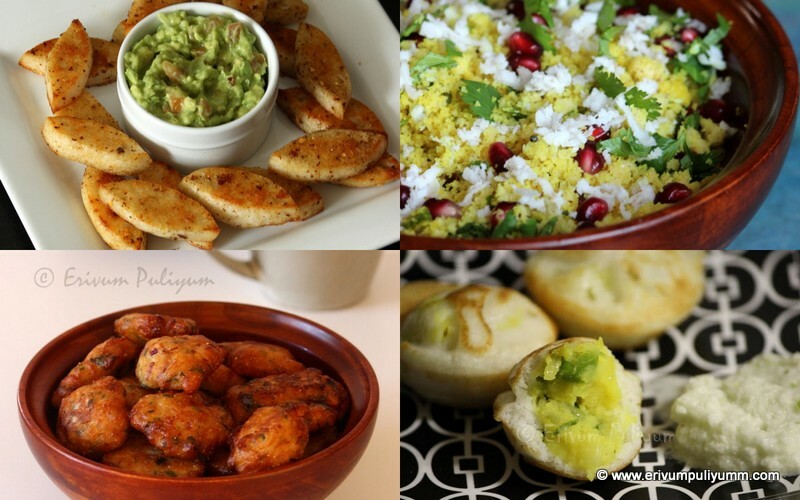 And now your post..Welcome and Hearty Congratulations on your blog's 3rd anniversary!! 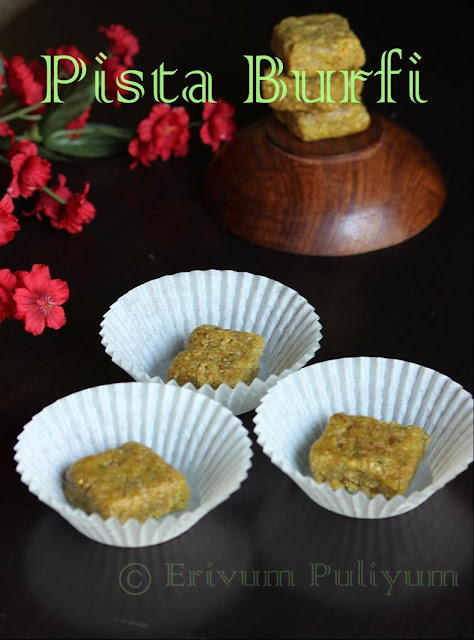 Pista Burfi looks delicious and perfect for celebration..
Glad to see your post Julie was missing them.Were have you moved to in India.Hope you get settled soon.Happy Blogiversary!WElcome bac to blogging. Congrats!!! 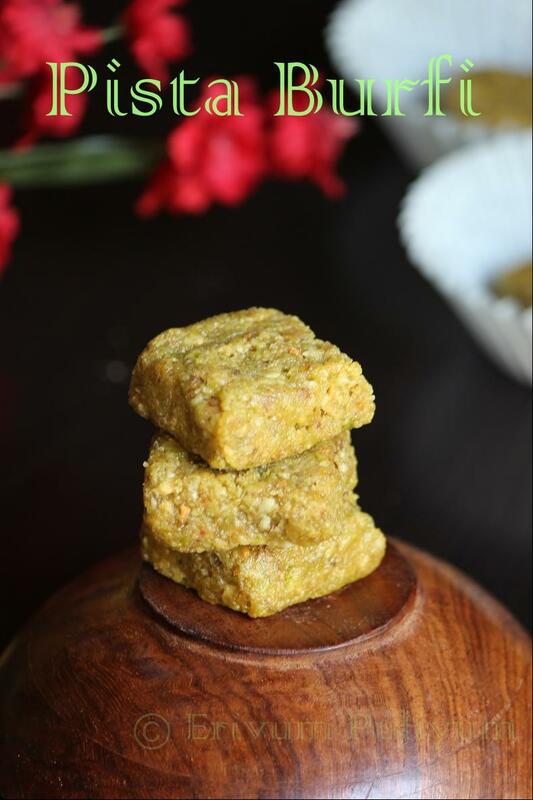 Good to see you back.. Pista burfi looks yum. Happy to see a post from you Julie! Pls dont go MIA again :-)..love your blog!